What with all those WIPs* I finished for the Ravellenics, I found, when they were over, that I only had two long-term WIPs left. Both of these are projects I’ve been making for myself, and as often happens, they get put aside when I start something for other people and end up lingering. So, though I do have some projects to start for other people, I decided I’d treat myself and finish both of these first so I can wear them this winter, and enter them in this year’s County Fair. 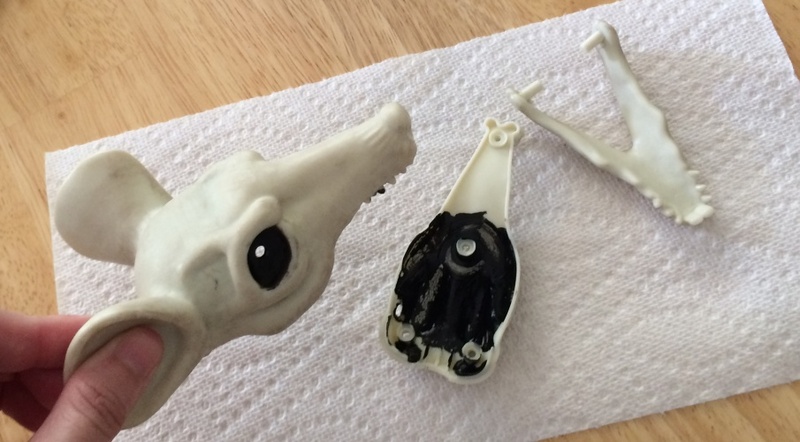 I tackled the older of the two projects first. I started this vest in 2010! 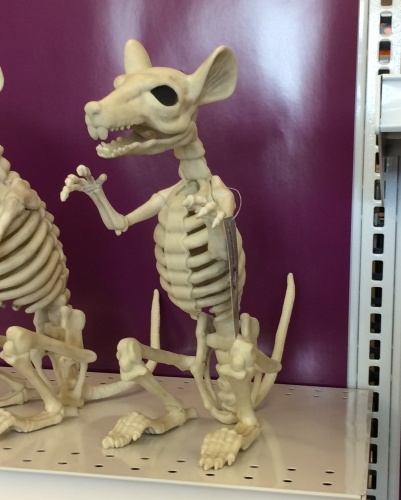 Poor thing. The pattern is called Elizabeth of York and it’s from Alice Starmore’s Tudor Roses book. I’m really pleased with how it turned out. 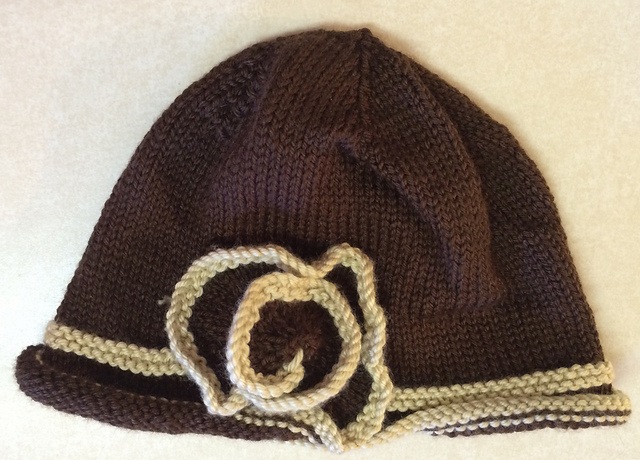 As far as technique goes, it’s a very simple pattern; just knits and purls, some wrapped stitches and a single-stitch bobble. 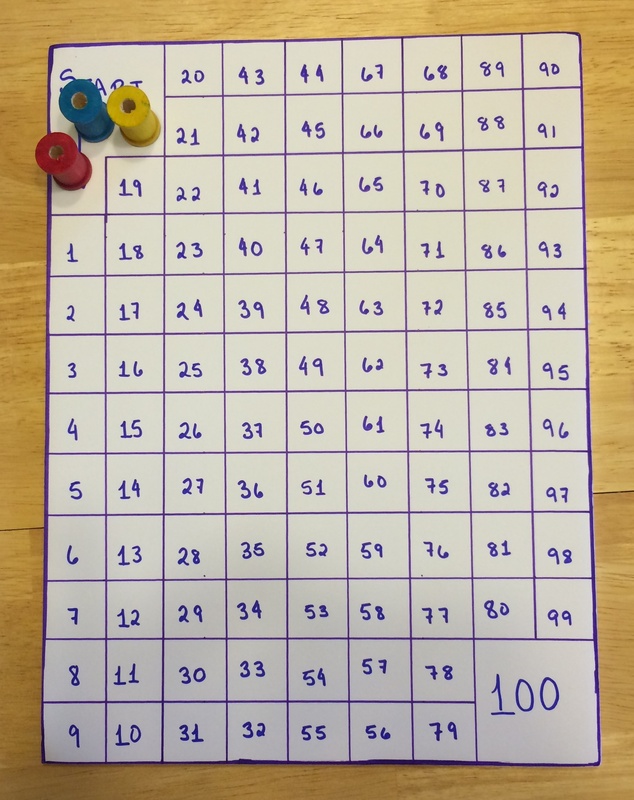 The challenge comes in keeping track of your place in the 36×48 chart, especially when you’re in the midst of a decrease section and your starting points keep changing. 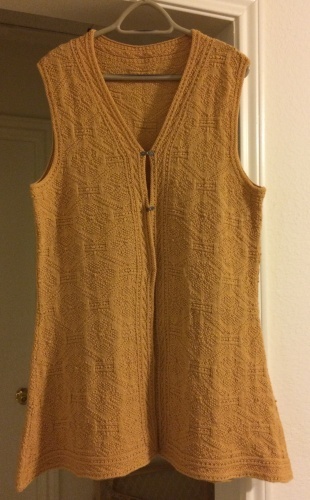 The pattern is for an open vest, but I prefer at least one or two closures, so I added a couple of clasps, which could be added as an afterthought and didn’t require me to change the pattern. The second of the two projects is nowhere near as old as the first. 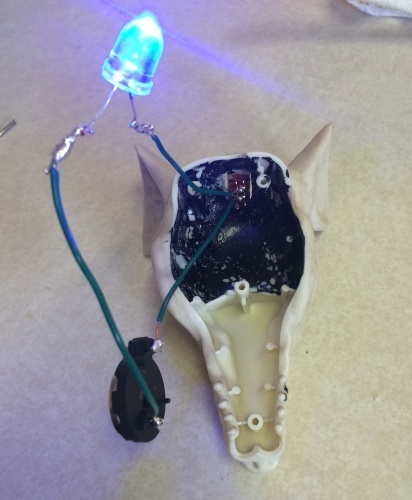 I cast on in January of last year. 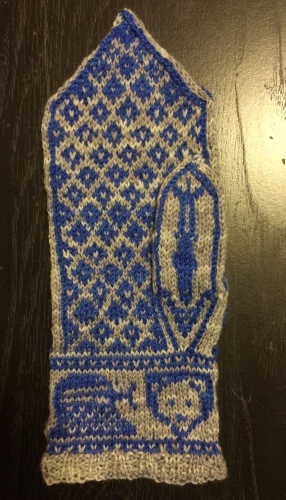 It’s a pair of Norwegian-style mittens, with a Doctor Who theme. I’ve finished the first mitten and am about halfway through the second. 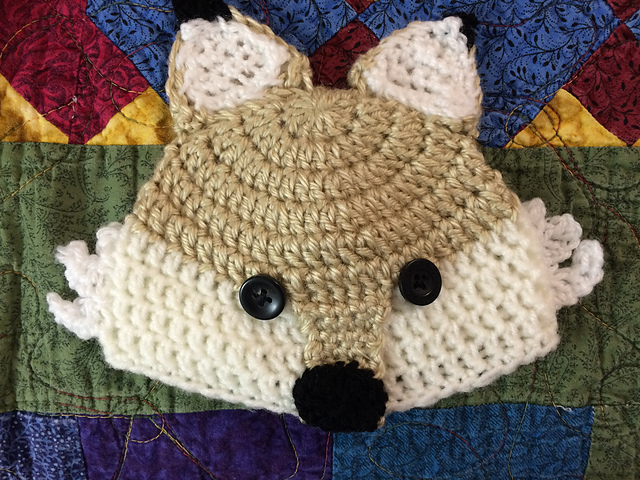 This year, for the first time, I participated in Ravelry’s Ravellenics games – a time for Ravelers to challenge themselves, which runs contiguously with the Olympic games. To make things more fun, the organizers set up events for us to participate in, such as the Hat Dash, the Cowl Jump and the WIPs Wrestling (WIP = work in progress, and in this case referred to projects started before the opening ceremonies). My first challenge to myself was to make something crocheted. I learned to crochet over ten years ago, made the center motif of a doily, and then beyond the occasional edging, never touched it again. So for my first project I made a crocheted baby hat. I also made a knitted baby hat (my knitting group makes hats for newborns and preemies at one of the local hospitals). These were my two Hat Dash entries. 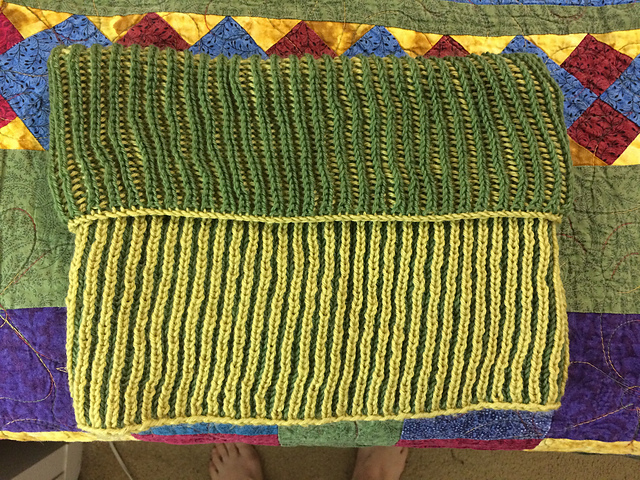 And for my most ambitious project, a two-colour brioche cowl for the Cowl Jump. This was my first attempt at the brioche stitch and my second challenge to myself. I didn’t watch much of the actual Olympics, beyond the opening ceremonies, but had lots of fun challenging myself with these projects. I’m working on a new baby sweater for a coworker who’s recently adopted a toddler. The pattern is called Metamorphic, and if you use three shades of the same colour, you get a cool ombre effect. I’m doing it in shades of brown. I’ve always known that I’m a tight knitter, but it was really driven home to me when I started this sweater. The pattern calls for DK weight yarn, but I could only find three shades of the same colour in worsted. For a normal knitter, this would mean that you’d have to go down a needle size to account for the thicker yarn, but when I started swatching, I found I needed to go up a needle size! I’ve never been tempted to instagram my food, but it occurred to me this past week, watching a few friends at knitting circle trying to get good shots of their projects, that we look just like those food bloggers when we’re doing so. I have found myself perching on a step stool perched on a chair to get the height needed to photograph some of my larger projects. So about ten years ago I made this shawl. It was my first attempt at large scale lace, and I only made it because I wanted to try my hand at a big lace project. I don’t often wear shawls, and so it stays in my closet most of the time. About the only time it gets use is if I need such an item for a theatre costume. My mother has seen and admired the shawl for the last ten years, but shown no particular interest in it. 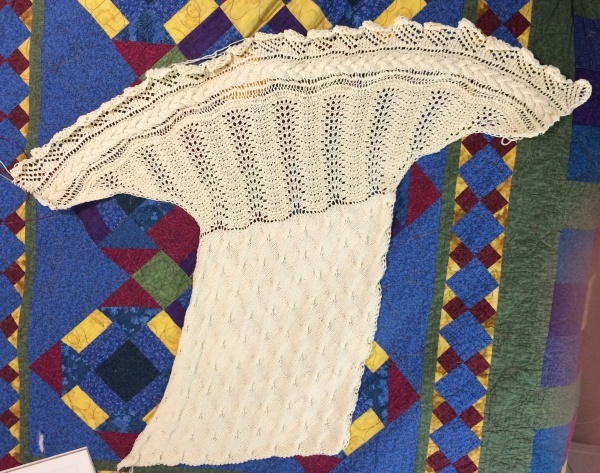 Then last December I loaned the shawl to a friend to use as part of her costume in Miracle on 34th Street and a picture of it ended up on facebook. 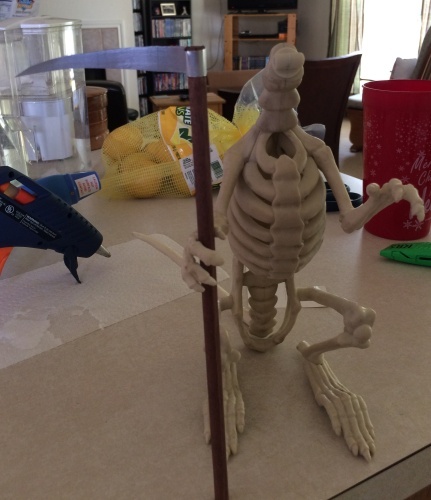 My aunt admired it and commented that she wished I’d make her one, so I said she could have this one. My mother’s reaction, “You could have offered it to me!” *sigh* Mothers. So now I’m making another, identical shawl for my mother, to keep the peace (I gave her the choice of taking the original one, and I’d make another for my aunt, or of getting something different. This was her choice.) At this point in its construction, it looks sort of like a mermaid’s tail. This pattern calls itself “Easy Aran”, but the only cabling is in the top section just below the collar. The rest of it is more of a guernsey (also known as gansey). For those who aren’t familiar, traditional Aran patterns (the knitting style that originated in the Aran Islands, which are part of Ireland), tend to incorporate lots of texture in the form of cables, where the stitches are worked out of order, in order to pull them in one direction or another, and form what look like plaits, or sometimes, diagonal lines of stitches. Guernsey patterns originated on the Channel island of Guernsey, and also incorporate texture, but tend to knit/purl patterns instead of cables. In both cases, these started as fisherman sweaters, and needed to be thick and warm. The texturing traps air, and depending on the stitch, can double the thickness of the fabric, making it warmer. Author kruthie73Posted on Tuesday, 29 December, 2015 Wednesday, 26 October, 2016 Categories knitting, picsTags knit, knitting, sweaterpalooza20151 Comment on Sweaterpalooza is over! 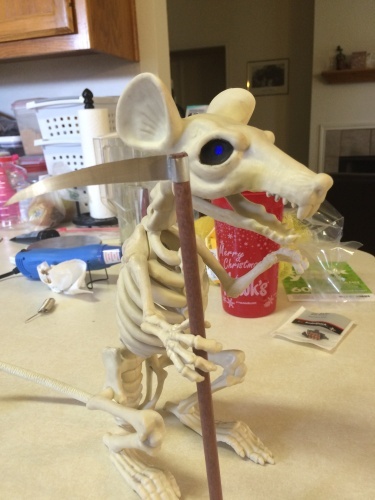 I’m a big fan of the show Tabletop on Geek and Sundry. I was already familiar with Settlers of Catan before I started watching, but have since been introduced to a whole lot more European style board games, and I love them! One of my favourite little features on most of these games is the score track along the outside of the game board. Keeping score with paper and pencil isn’t my favourite activity, and these games have spoiled me. So I decided to make myself a score track that I could use on games that don’t have one built in, like Qwirkle. 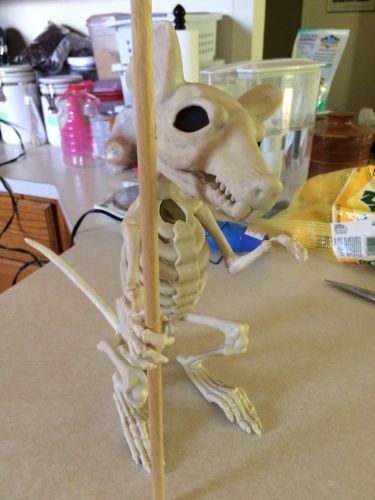 It’s just foam board, and the game markers are painted wooden spools, but it does the job and it was cheap. The supplies cost me less than $10. Author kruthie73Posted on Saturday, 26 December, 2015 Wednesday, 26 October, 2016 Categories crafts, games, picsTags board games, games1 Comment on Games! Two more sweaters (nearly) in the bag! 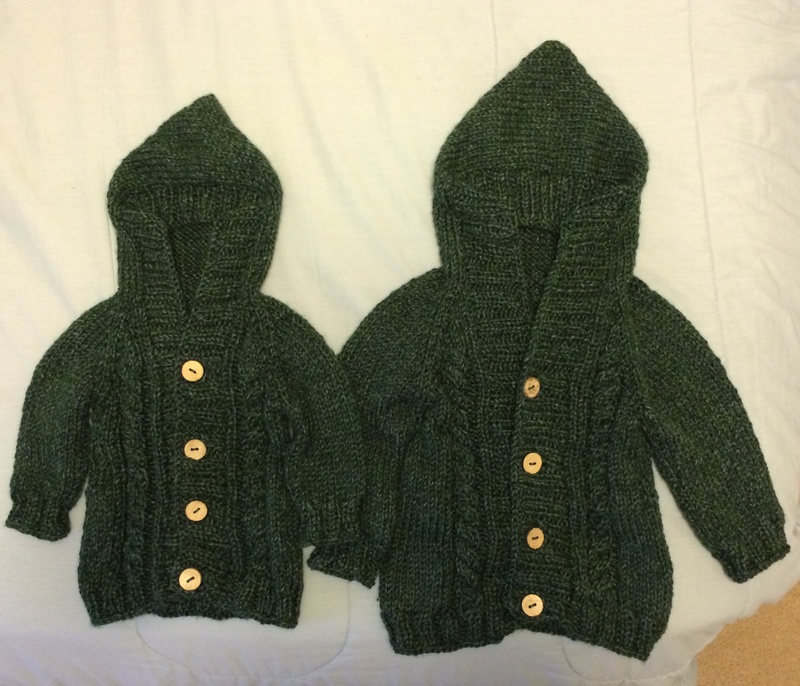 These two needed to be the same size as the previous three, since the two sets of babies were born around the same time, but I hadn’t marked down the size I used for the first three (6-9 month), and chose the wrong one (3-6 month) and ended up with a too-small sweater. 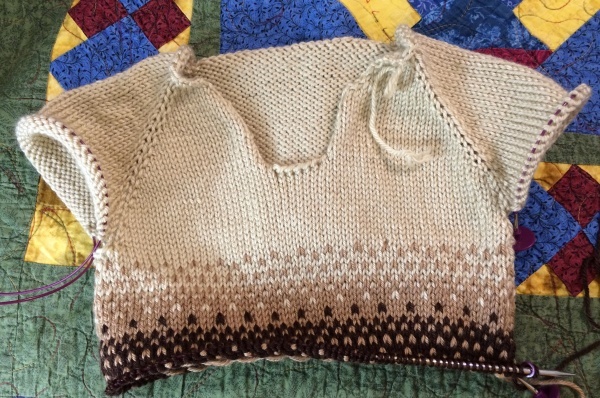 So, technically, I have three more sweaters (nearly) in the bag, because I went ahead and finished the too-small one for the next person on the list. For my second attempt at the first twin sweater, and before I realized that the error I had made was choosing the wrong size, I decided to use the Tulip sweater from the last set as my base again, and just add the colourwork from the other sweater. I chose to put the colourwork on the yoke, however. I ended up liking this shade of blue better than the original too. 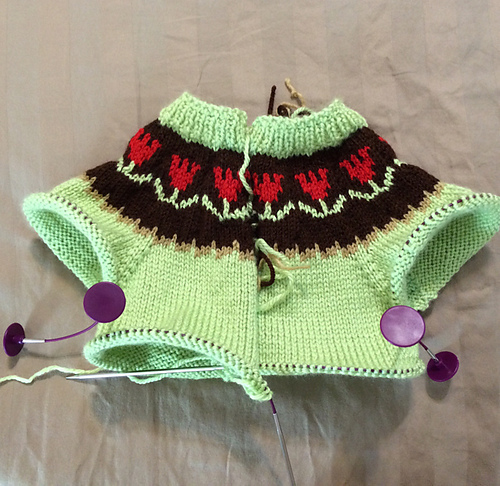 The second twin sweater also has the Tulip sweater as a base, and colourwork from a different pattern. This time, the original pattern had the colourwork on the yoke, and I decided to put it at the bottom of the body instead, because my brain is weird and doesn’t like doing things the easy way. 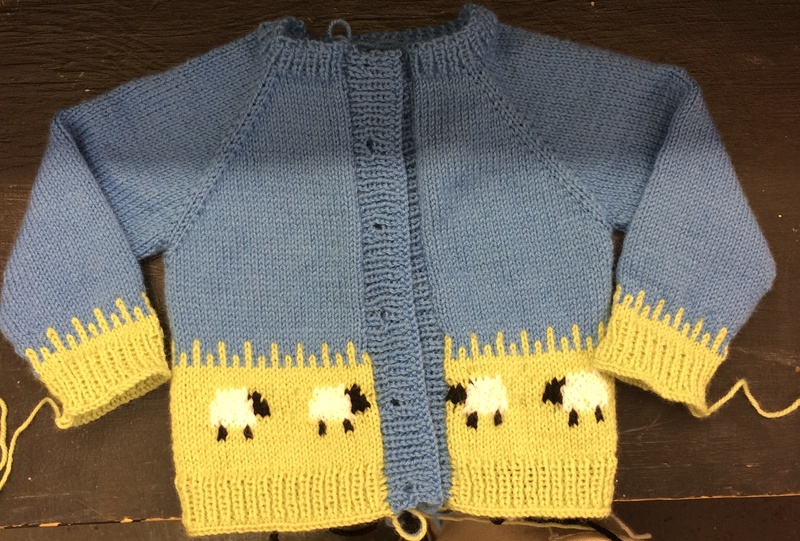 This one still needs the ends woven in and the buttons sewn on (sheep buttons!). 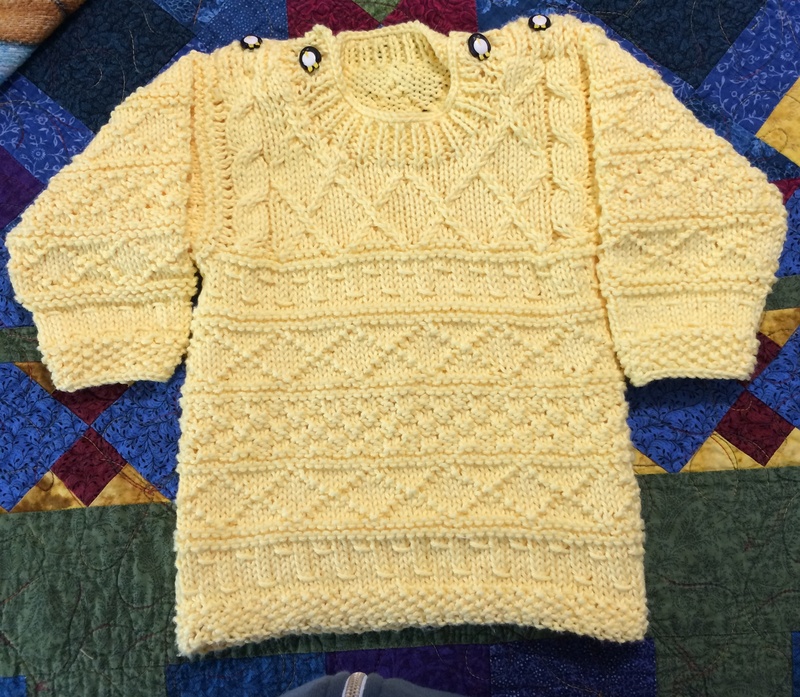 I have one more baby sweater on my list, but I’m taking a break from baby clothes for a little while to knit a blouse for a co-worker. I’m uncertain who it’s for. Our first conversation led me to believe it was for her; the second that it was for her sister. They picked out the yarn and pattern together, but my co-worker never even started it. I get the sense that, when it came down to it, she was out of her depth, and so kept putting it off, to the point where her sister has stopped asking about it. 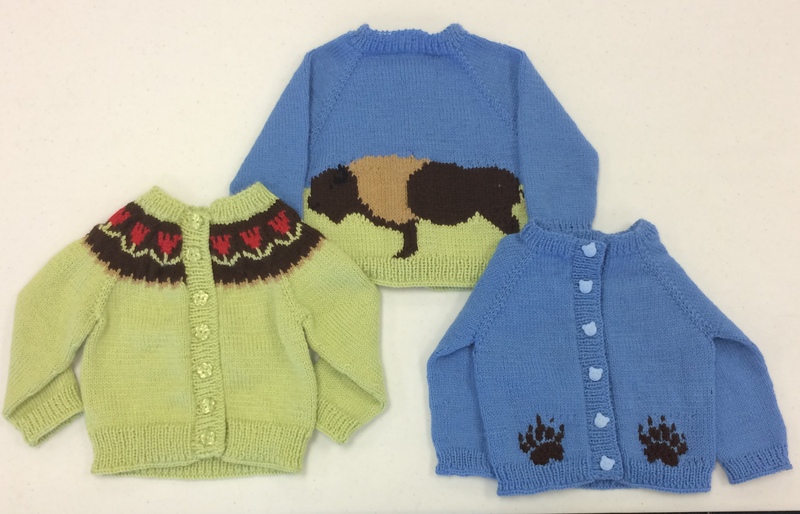 I’ve nearly finished the trio of sweaters for a set of triplets. 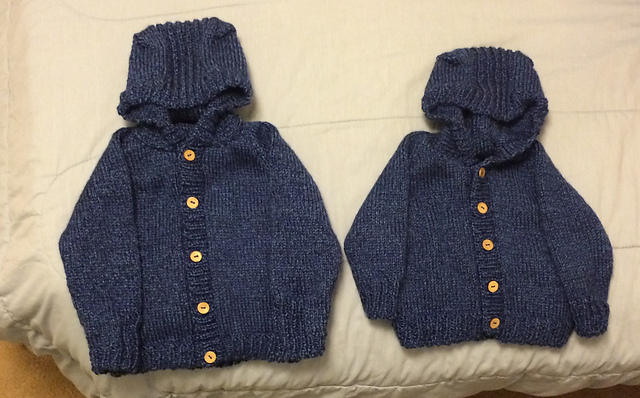 They’re two boys and a girl, so I decided not to make identical sweaters. 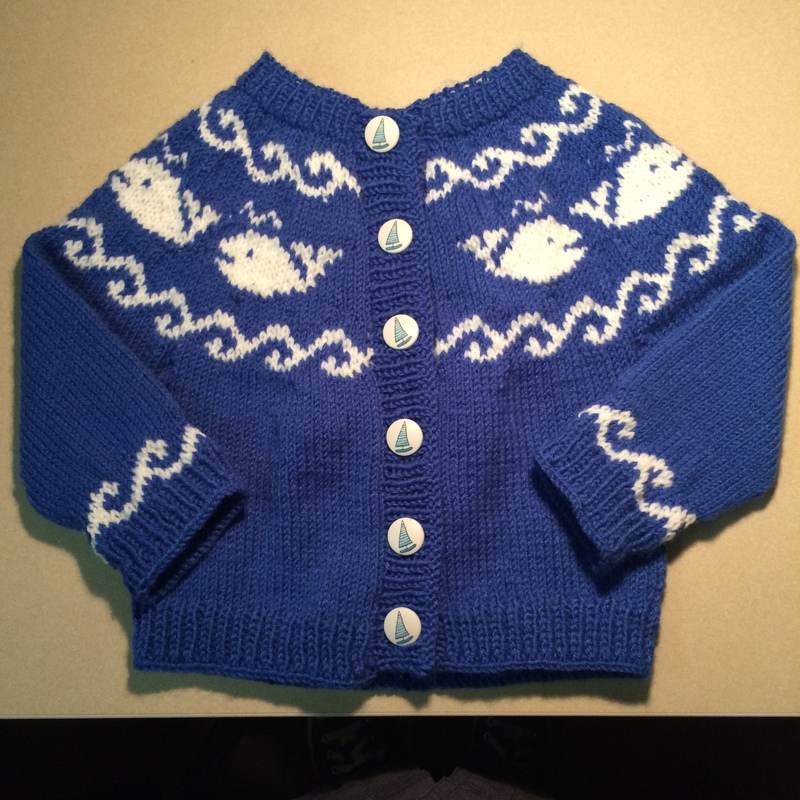 I started with the tulip yoke sweater in my previous post, and then used the same basic pattern but with different colourwork for the two boys’ sweaters. The paw print sweater has a bear on the back. 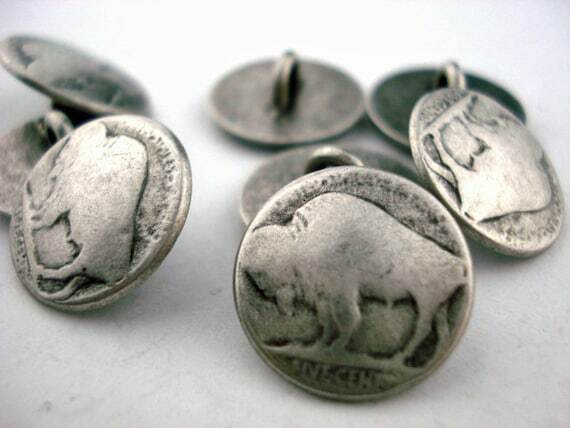 I was able to find flower and bear buttons for the tulip and bear sweaters, but couldn’t find any buffalo buttons at the store, so I was making do with some random cute sheep buttons, until one of the ladies at the knitting circle mentioned that she had once used some buttons made from old buffalo nickels. The woman is brilliant. Look at these. Aren’t they just perfect?!? I’m just waiting for them to arrive, and then this set will be completely done! Next up, identical sweaters for identical twins. They must have put something in the water around here recently, because I’ve got eleven (yes, 11!) baby sweaters in the works! Granted, two of them are for older siblings of new babies, but that still means nine new babies among my friends. Yikes! 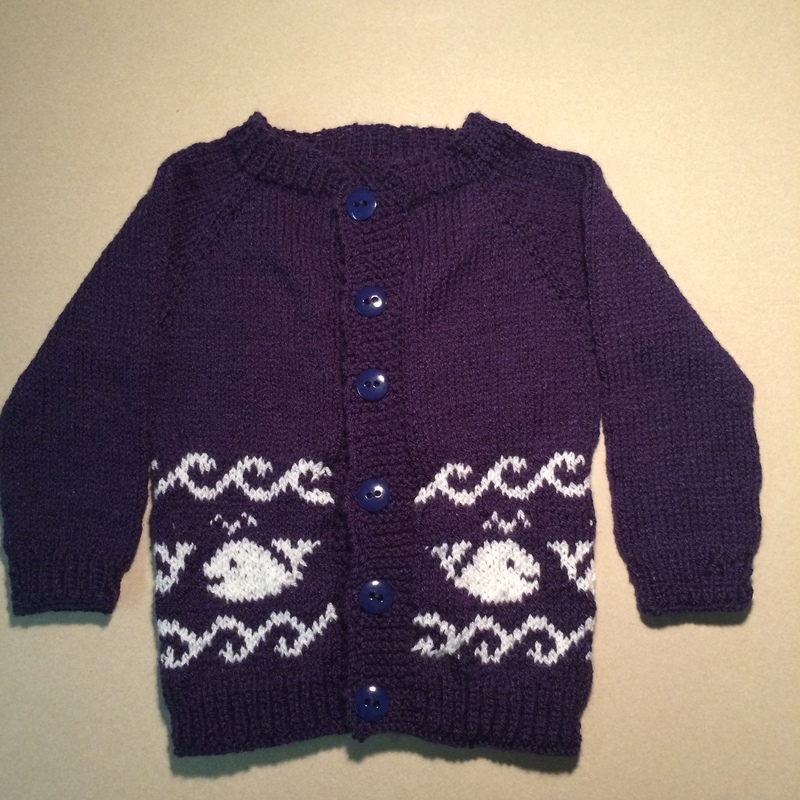 I started with the two paired sweaters; the same two patterns in two different sizes. Hopefully, come winter, they’ll both be able to fit in their sweater at the same time, so they’ll match and be adorable. Second pair (the second sweater in this pair still needs the ends woven in and the buttons added). And now I’m working on the first of three sweaters for a set of triplets.